We move $Q$ closer and closer to $P$. 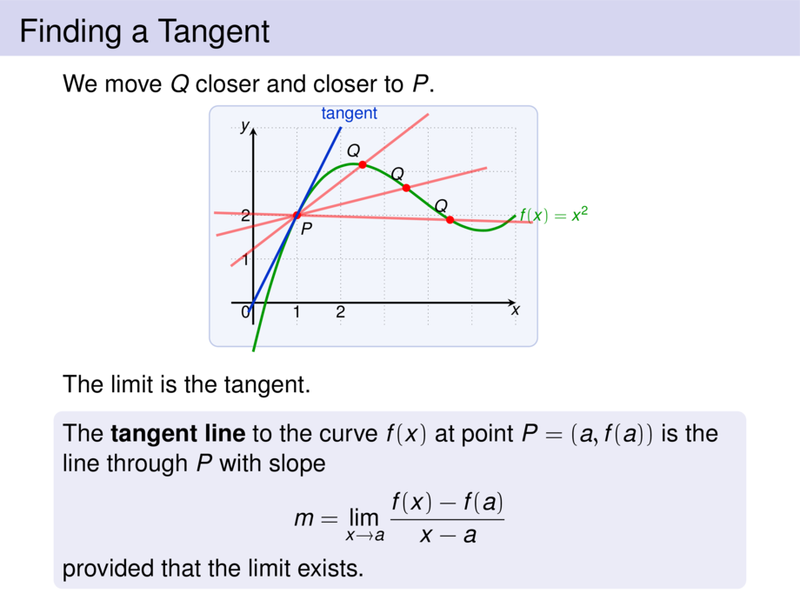 The limit is the tangent. provided that the limit exists.